I love that you love these two body oils! (Does that sound weird? Oh, well!) Kahina's is my favorite – I'm in love with the smell, and my husband told me I smelled good the first day I wore it, so it's my new staple. I really want to try the ED4OLO body oil, too, though – I'm curious about the "glowing" part. I usually use more than 2 pumps, though…I should try losing less and see if it still does the job. Thank you for the review!! I have been in love with these two brands since I first tried out green beauty. The One Love Organics body oil has become my summer essential! Totally not weird–I'm the same! I love that you love Kahina too and I love that guys love the smell too 🙂 I hope you give ED4OLO a try–it's really lovely. Thanks for reading Aileen! These two brands are top notch! Love to hear you love the OLO body oil! It's suchh a beautiful spicy scent–of course I simplify it by saying spicy since there's also rose and geranium and grapefruit and all the beautiful things–it's intoxicatingly good. How about both? ;D Hehe. Both will make your skin sooo soft–guess it depends which scent you're feeling! Hey Julie! Personally, my skin didn't have a good experience with Skin Savior, though to be fair, I wasn't double cleansing at the time which may have been the reason why. 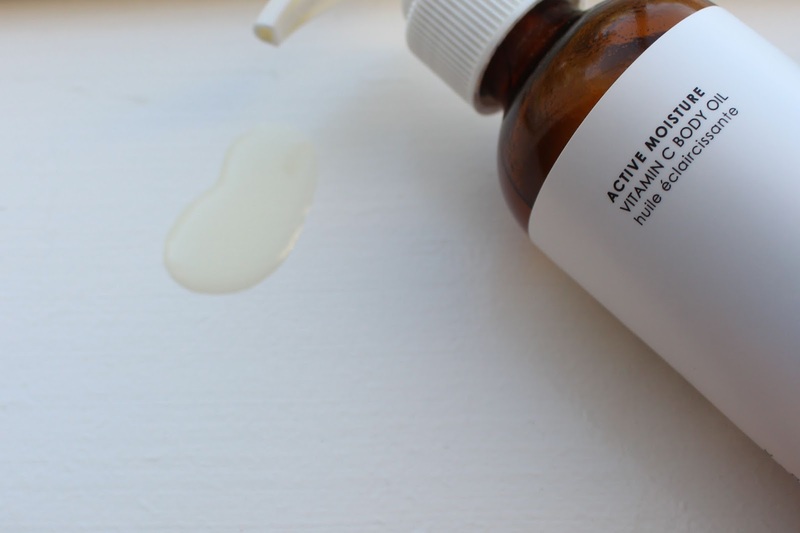 I love the cleansing oil and have repurchased it so many times–I've used it as a single cleanse as well as the first step in a double cleanse and my skin just loves it. These body oils sound lovely. I like that you posted links to journal articles backing up the info in your post. Ooooh I tried a bit of Skin & Bones a while back, and that smell truly is intoxicating! Also male-approved 🙂 Have you tried the cleanser as well? They are both lovely! Get both? ;D Kahina Fez's scent is indeed unique–of course I simplify by saying spicy, but it's such a comforting, warming, and lovely spicy…Thank you Kasey! I love the scent of the ED4OLO cleansing oil, so the body oil has been on my wishlist. 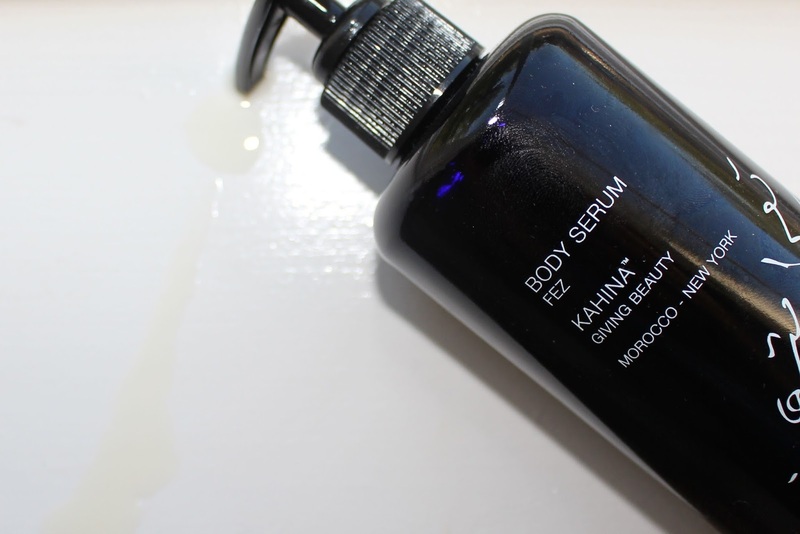 But now I'm also curious about the Kahina Fez Body Serum! I was wondering do any of the scents last long once they're applied? I spent the entire time at Shen Beauty rubbing in Fez onto my hands and arms like a weirdo. By the time my friend was done shopping some Kjaer Weis makeup goodies, I was glowing and smelling SO SPICY GOOD. It's on my list if I want to splurge on a luxury body oil! By the way, I have the ED4OLO body oil hidden away but reading your review makes me want to break it out! 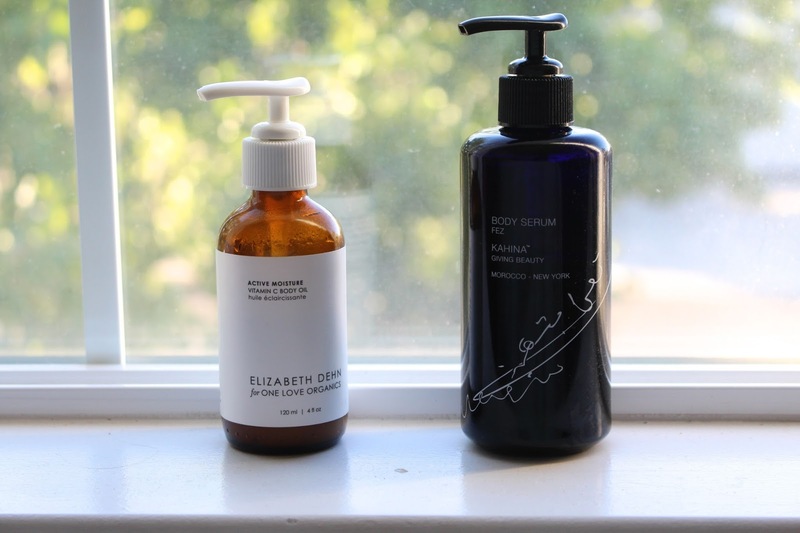 While I love both of those body oils, I have to say that the Lima Hanson Global Body Serum and Osmia Organics Body Oil in Sunset and Water Lilly get the most love of my collection. You should definitely give them a try! The sacrifices we make (or our wallets at least) for green beauty. But the results are wells worth it! Oooh–those are two definite loves of mine! Haven't tried Water Lily–but have heard it's a total sniff-yourself-in-a-meeting kind of scent. Don't recall the scents lasting too long with those, but the LH gave me such, such, such soft skin.